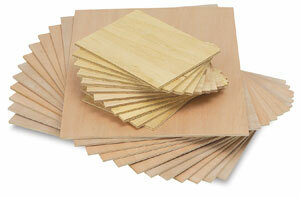 For woodcut printing, carving plaques, or woodburning. Either Philippine Mahogany (Luan) or white wood, 1/4" thick laminated (plywood) blocks. Contains 12 pieces.